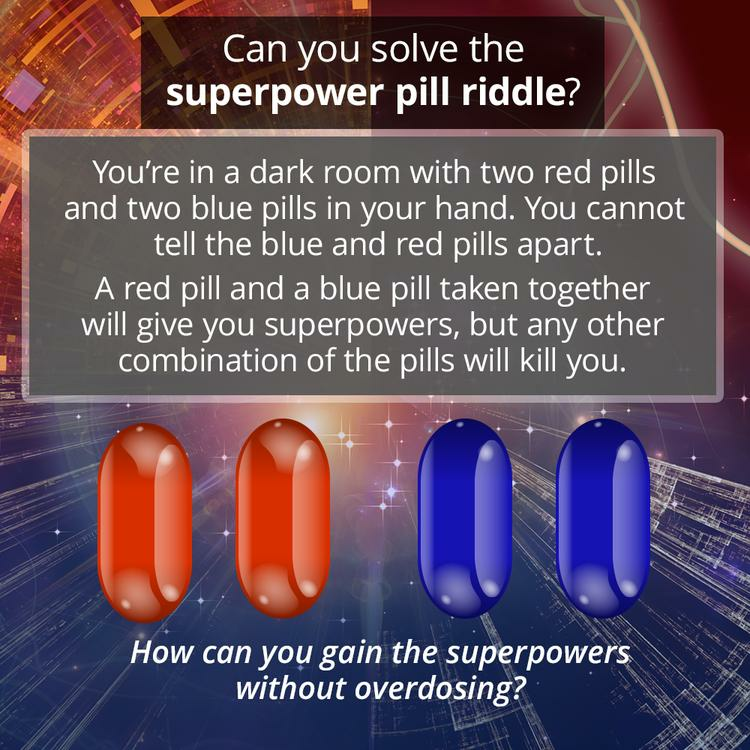 Try To Solve The Superpower Pill Riddle. 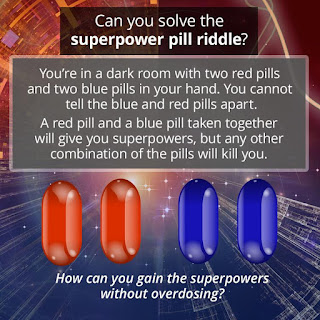 Home » riddle » Try To Solve The Superpower Pill Riddle. So, think you can solve this Riddle? Ok then. I got this Logical Puzzle from BrainCool a Youtube channel. By the way, take a suggestion from me. Be creative, no maths is required. So, chill. Now, How can you gain superpower without overdosing? Oh, before you run away or I tell you the answer I have another question for you. So, It's a murder puzzle again the same no maths required and try to think like a detective. Near your house, you saw one police car and lots of people gathering there. You then enquired what has happened Later you came to know that it was a mudder case. A body was found at the bottom of the multi-storied building. It looks clear that the person has committed suicide jumping off from one of the floors(No access to the roof.) The detective came to the scene to investigate. The detective goes to the first floor and facing the direction the body was found (However the body was found like the body was looking toward the sky). He opened the window and flipped a coin toward the floor. He did the same till he reached the last floor. Later he concluded it's a murder, not a suicide. How does he know that? 1.In order to Gain superpower without overdosing in dark room, you can eat one-half of each of the four pill. 2. If it was a suicide then how could he close the window before jumping?